Spring is the perfect time of year to spruce up your outdoor patio with an outdoor fire feature! 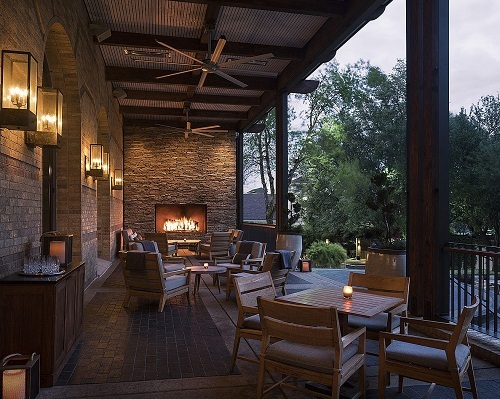 Don’t miss out on endless conversations due to the cool spring evenings; your Acucraft outdoor fireplace, fire table, fire pit or custom outdoor burner will keep you and your friends & family warm so you can enjoy those precious moments. Your outdoor fire feature can be customized to fit seamlessly within your outdoor space, from size to style and nearly endless finishing options, we’re certain we’ll find the perfect unit for you. 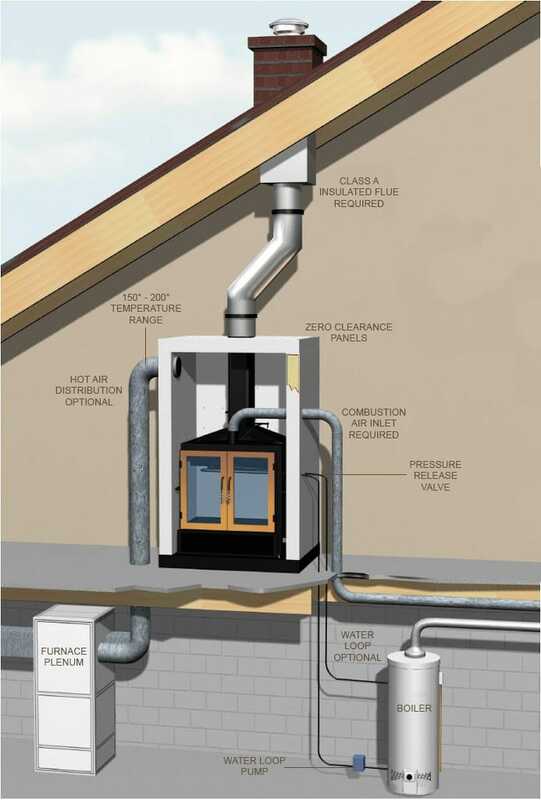 Custom Outdoor Burners: Uniquely designed burners that come in all configurations and sizes, including an all-weather ignition system and multiple flame height options. 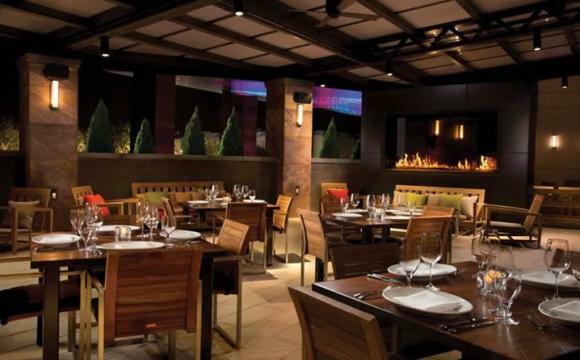 Custom Outdoor Fire Tables & Fire Pits: Free standing, fully built enclosures with Acucraft burners, made with stainless steel components to withstand the elements. 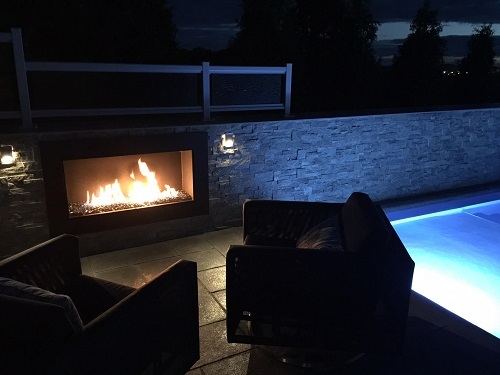 Custom Outdoor Fireplaces: Fully assembled gas burning outdoor fireplaces designed specifically for your space – enjoy the traditional ambiance of a fireplace, outdoors! Looking for more traditional ambiance from your outdoor fire feature? We’ve got you covered, Acucraft can design & manufacture an outdoor wood-burning fireplace or fire pit for any space, giving you the earthy smell of burning wood and the classic hiss & crackle of a wood flame. 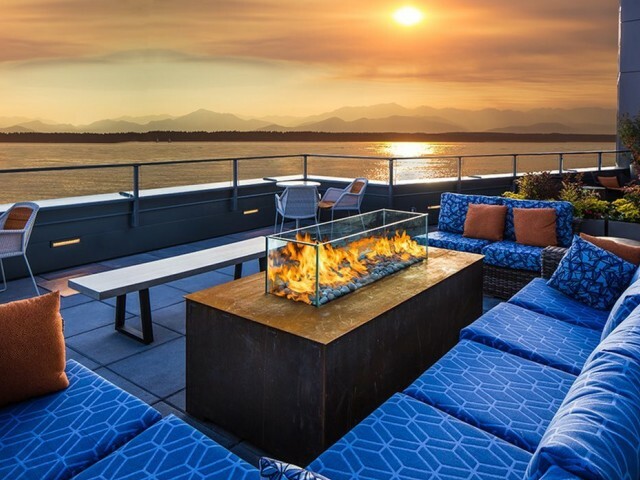 Not only to get to reap the benefits of our All-Weather-Electronic-Ignition System (AWEIS); which ensures operation in rain, wind and snow so you can enjoy your outdoor space year-round; but Acucraft’s outdoor fire solutions also come with flame heights ranging from XL 8″-12″ to 3XL 18″-24″! Impress customers and guests alike with a custom outdoor fireplace. Every outdoor fireplace is made with 100% stainless steel components and comes with our All Weather Electronic Ignition System (AWEIS) ensuring your fireplace will run in nearly any weather condition. 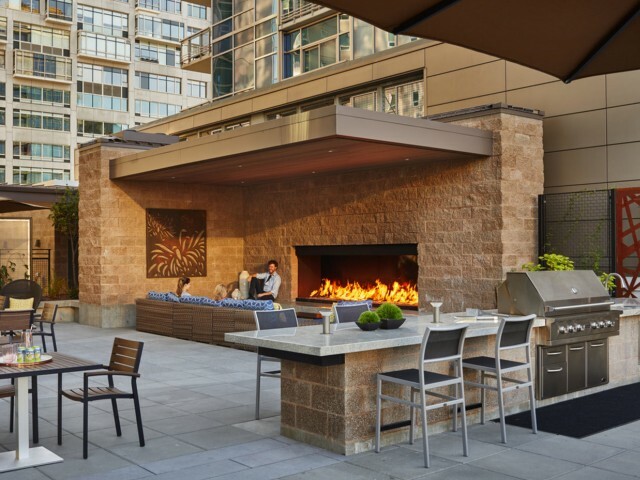 Our outdoor fireplaces are custom designed to fit your needs and specifications and to add ambiance to any outdoor space, giving your guests or customers a place to gather. Not only can you impress your friends or customers with an Acucraft outdoor fire feature, but you can now combine water & fire! Take it one step further with an Acucraft outdoor submersible fire feature combining water & fire. The Submersible Electronic Ignition System (SUBEIS) is the first ever electronic ignition system designed for use with fire on the water surface! Create a fire feature that looks as if it’s coming straight out of the water, or use our traditional AWEIS to enjoy fire next to water. 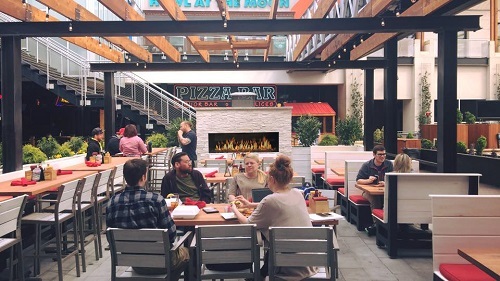 Whether you’re working on a commercial, residential or hospitality project, our Fireplace Advisors & Designers work with you one-on-one to make your design a reality. What are you waiting for? Your DREAM FIREPLACE Awaits! Eduardo Muniz, General Contractor for Boston Best Construction, came to Acucraft looking for a fireplace for his new construction home that could fit between two load bearing walls while seamlessly combining his kitchen and living area. Originally Eduardo wanted to have a peninsula gas fireplace in this space, but due to the structural constraints a peninsula fireplace just wasn’t in the cards. Mike, Fireplace Advisor, worked with Eduardo to find the perfect fireplace to fit his needs for his home: a 7′ Signature Series linear gas fireplace. Once Eduardo placed his order he worked closely with our Project Manager, Chad, to ensure his fireplace was manufactured and delivered on-time for his project. Our Signature Series fireplaces are pre-designed and engineered to fit with any residential space and can be produced in as little as 6-8 weeks, and with our Fast Track options, we ensure you’ll receive your fireplace within your requested timeline. As with any Acucraft fireplace, the Signature Series is made with only the highest quality materials and components providing you with a lifetime of safe, happy burning, which is backed by lifetime support from the Acucraft Service Team! What Are You Waiting For? 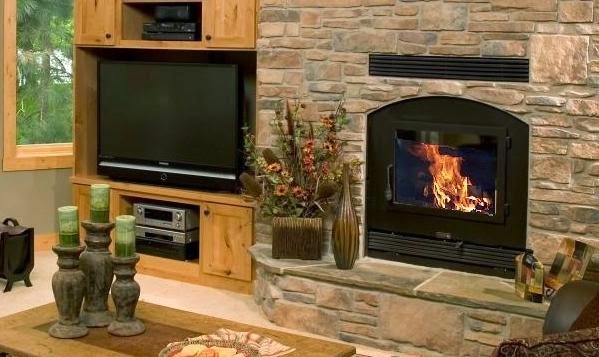 Get Started on Your Dream Fireplace Today!